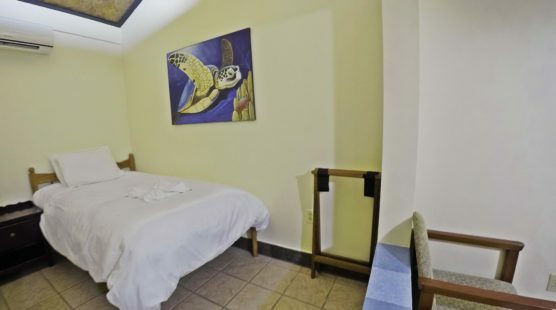 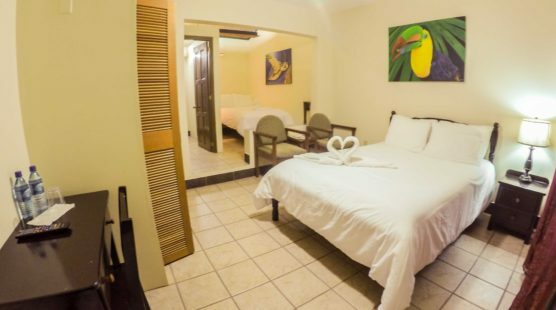 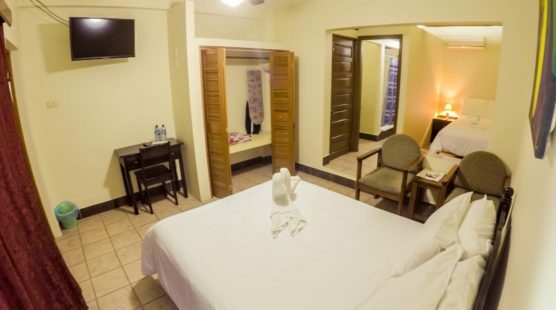 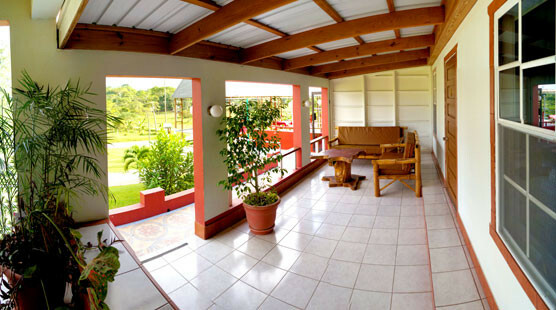 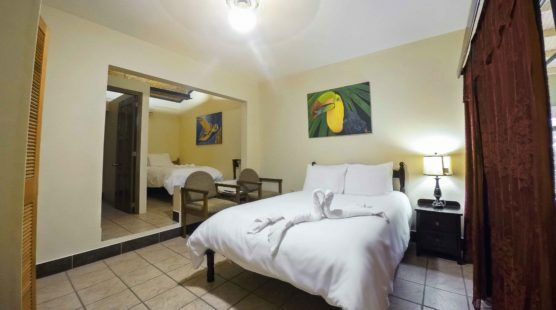 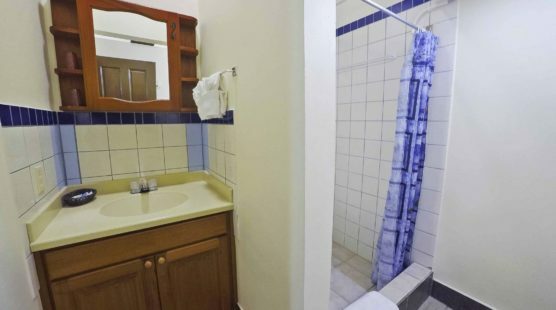 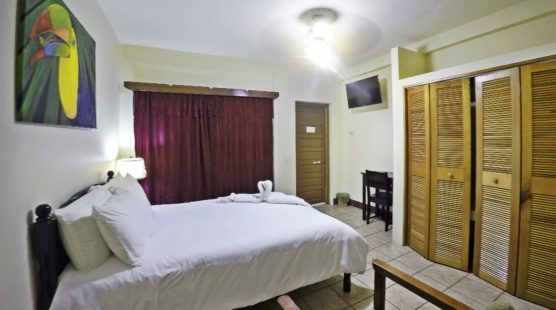 Our Economy Double Rooms feature 2 Double Beds with quality linens, AC and Ceiling Fan, Flat Screen Cable TV, Iron & Ironing table, Safe Box, writing table & chair, seating furniture, and a fully appointed private bathroom with hot and cold water. 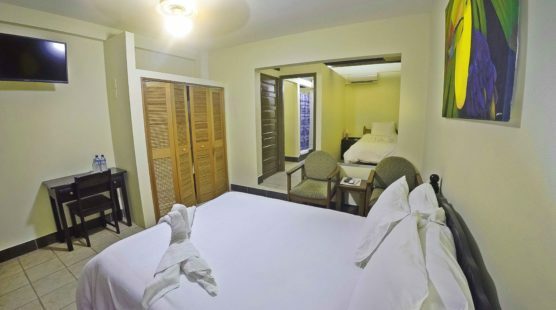 Daily maid service makes sure your room is always ready & made for you. 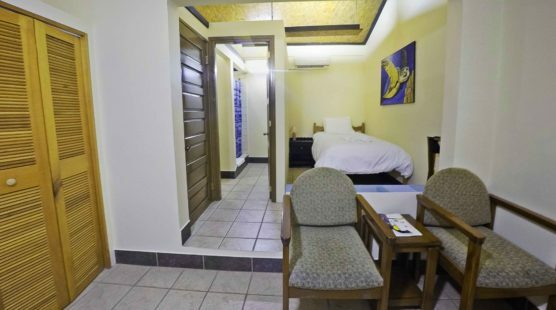 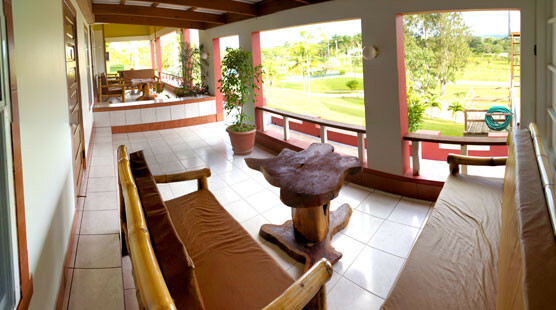 Free high-speed Wi-Fi is available in-room and public areas.